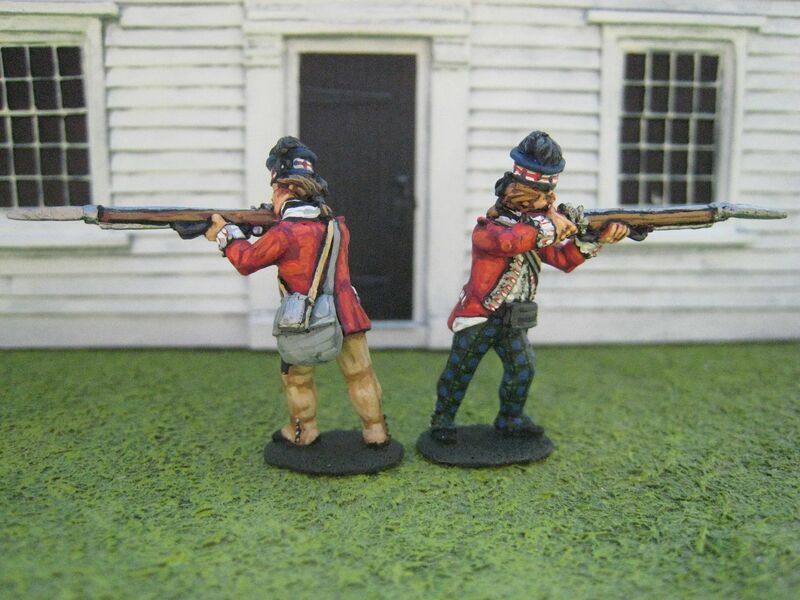 One problem with being a horse and musket man is that occasionally there comes a time when you just can't face painting any more straps, facings, red or blue coats etc. "Tricorne fatigue" sets in you have to recharge your batteries on something completely different. 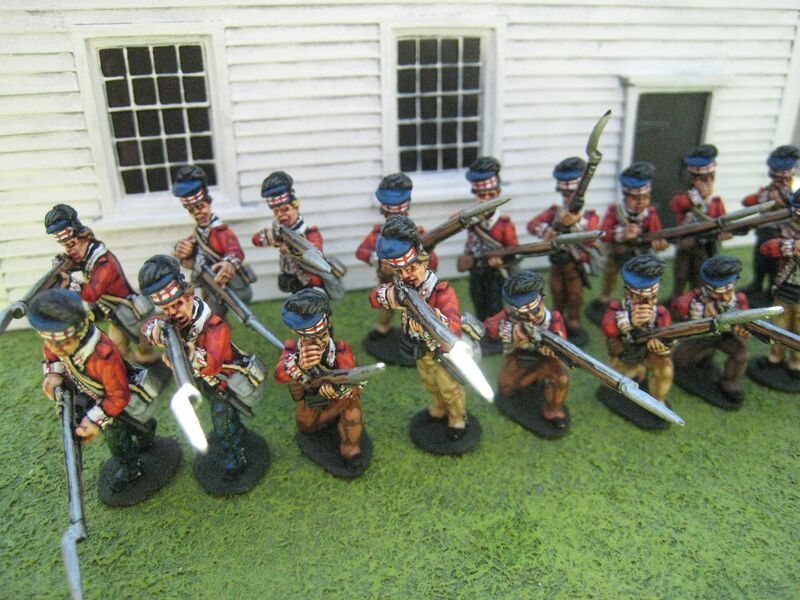 My stop-start Sudan project started in the wake of painting lots of Napoleonic stuff for a Salute game in 2007 - after a brigade of cavalry and several vignettes of Napoleon and his staff I felt I had to paint something that was the polar opposite of Napoleonic splendour - Beja tribesmen fitted the bill perfectly. A couple of months ago I started suffering again and spent a week painting Matabele tribesmen from the 1880s. 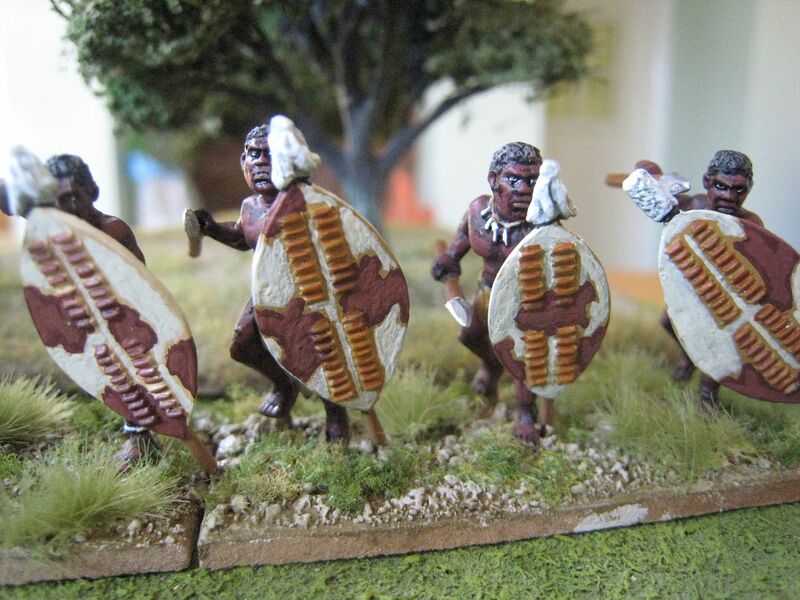 These are figures from the North Star Africa range, designed for wars in East Africa from, I suppose, 1850 to 1900. I've always been interested in "Darkest Africa" stuff, so this isn't really a new period as such. I actually have most of the Foundry DA range painted but unbased (I keep meaning to spend a month going through all those to make them "table-ready"). I first came across the Matabele when watching the BBC's "Rhodes" mini-series, which I re-viewed as prep for my honeymoon to South Africa in 2009. At the same time I was reading "Diamonds, Gold and War: The Making of South Africa" by Martin Meridith - an excellent history of the country from 1800 to 1900, which covers the Matabele Wars in depth. 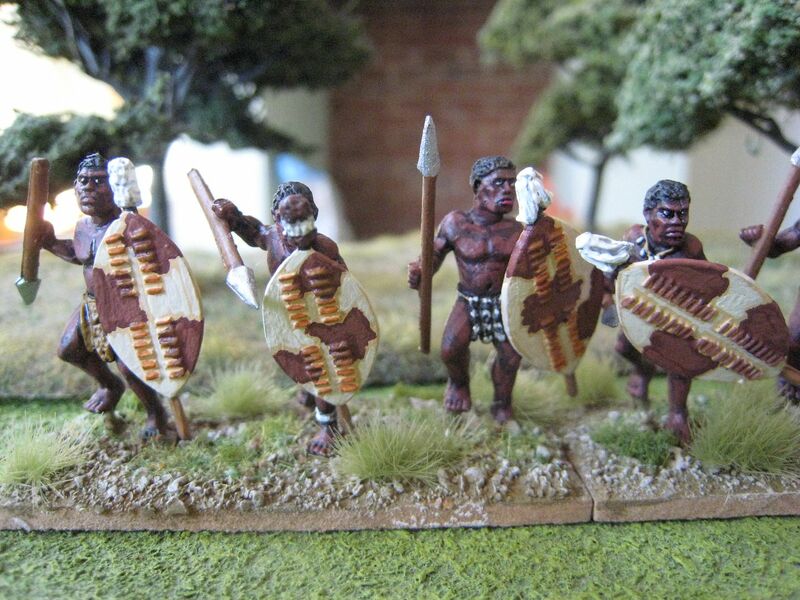 More recently, White Hart Wargamers' Shangani Patrol game at Salute 2012 was terrific inspiration. 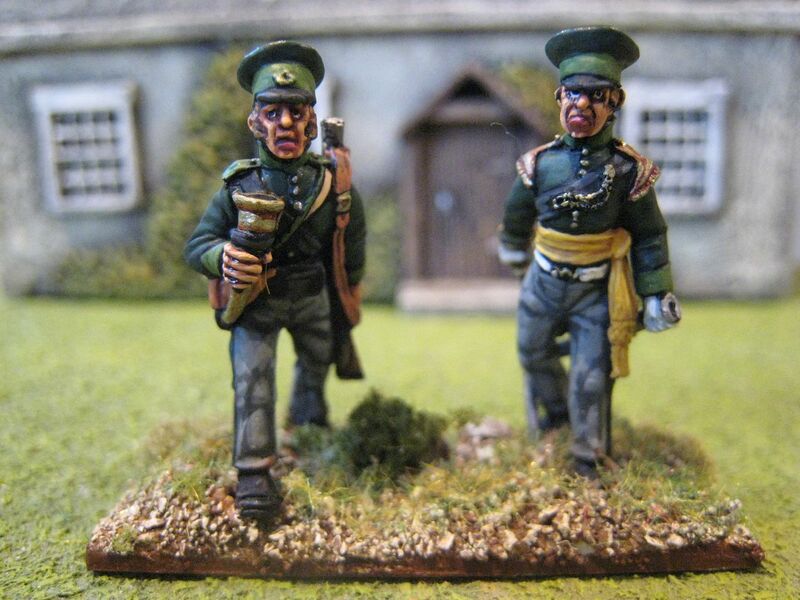 In January this year North Star had a sale, and I found myself unable to resist the temptation of a Matabele army at a decent discount. The "impi" has over 100 figures, and I'm going to make a real effort to slowly work through these over the next year or so. The men themselves don't take that long, but I found the shields required more work than I was expecting (there's probably a much quicker way of painting them), but I was pretty satisfied with the end results. I'll post full paint details when I've finished my first "regiment". 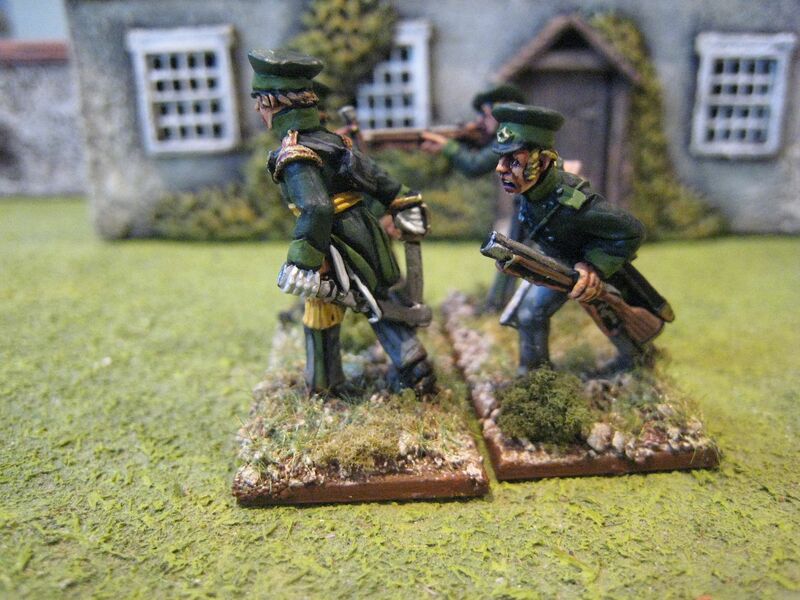 The figures are based in threes for Chris Peers' "Death in the Dark Continent" rules. 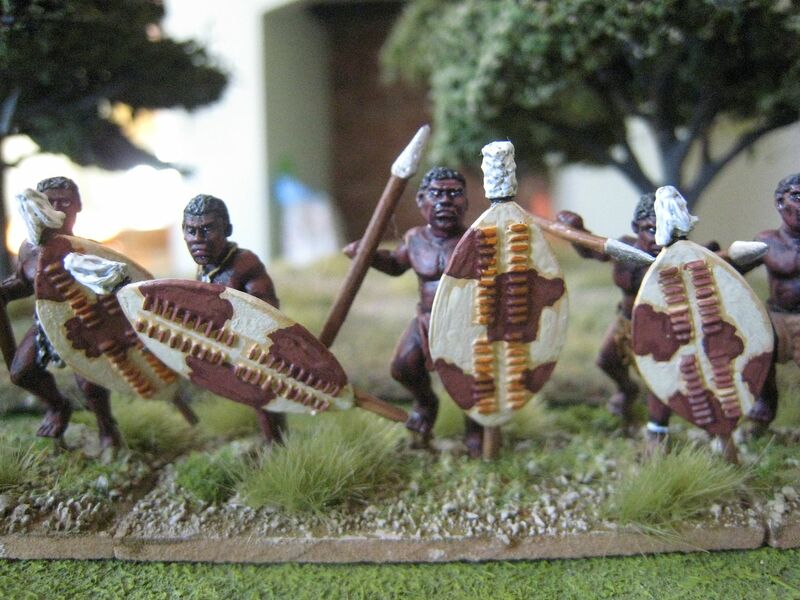 The most challenging part of painting these figures was trying to find a realistic set of colours for the base and capture a proper "African" look. My recollection of South Africa is that ground can look very dusty, almost white and then also quite reddish when it's been raining and the underlying soil shows through. I went for a bright, dusty look (using some new GW paints I picked up at Salute) and, for the first time, used some "jungle" tuffs instead of my usual static grass. I'm not sure that the basework here is that authentic, but at least it's different to my other figures. 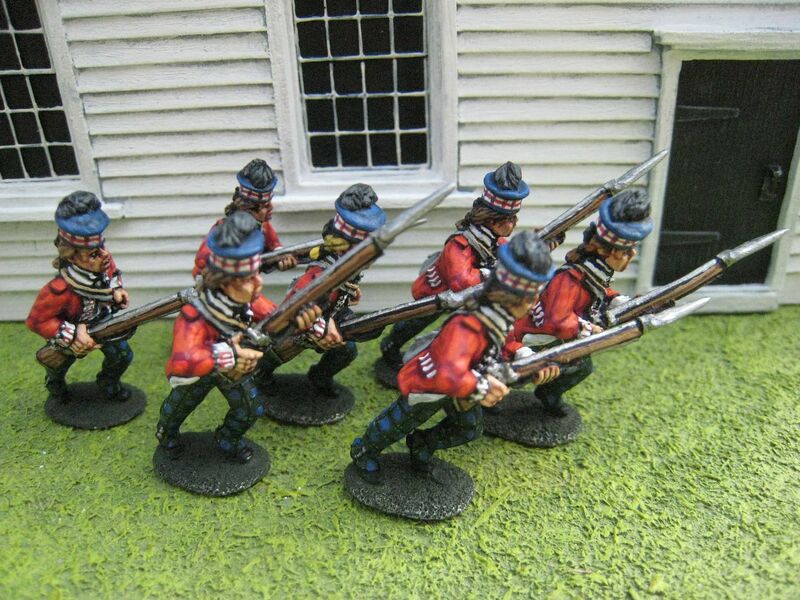 The final pic below is a wip photo of a new unit of AWI militia, which I have started wityh figures from the Galloping Major F&IW range. I've been wanting to paint some of these up for a while. The range currently has 2 packs of settlers and there is the promise of further "characters" and some proper "militia" packs. All should be suitable for the AWI. So this unit is half finished until the other packs are released, hopefully later this year. The figures are quite a bit larger than Perry/Foundry sculpts, but are beautifully made and certainly worth being added to the collection. 9 figures. Painted April 2013. 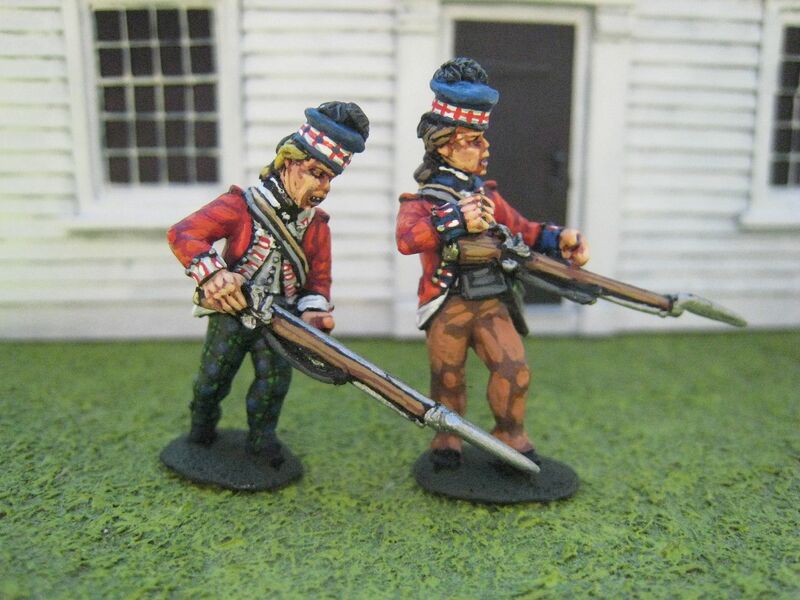 I had meant to post these photos when I had the charging figures all painted up, but those have been delayed so here are some initial photos of fully completed King's Mountain AWI highlanders. As I've mentioned before, I've been working on a large commission for KM owner Bill Nevins for the past 6 months. In due course I'll post my response to "commission painting", but suffice to say here that it's been rewarding work. 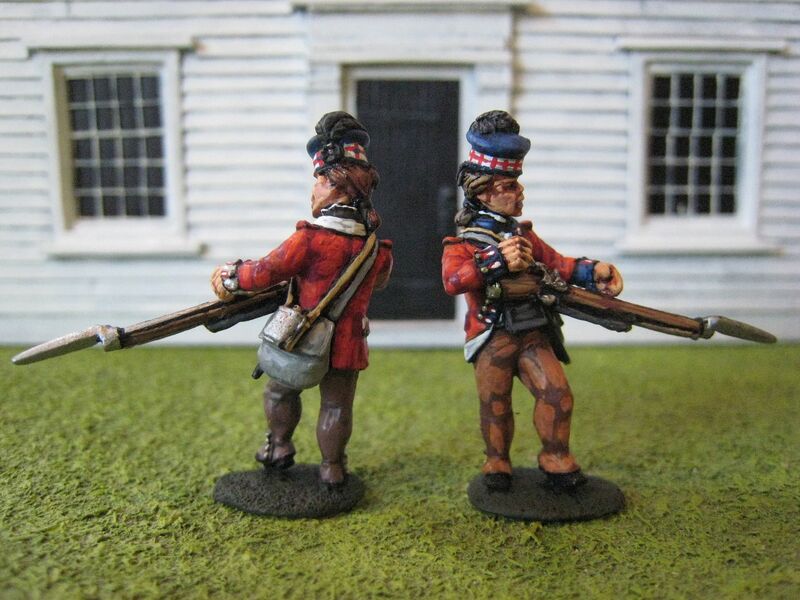 These figures here are unvarnished and lacking some final touching up. 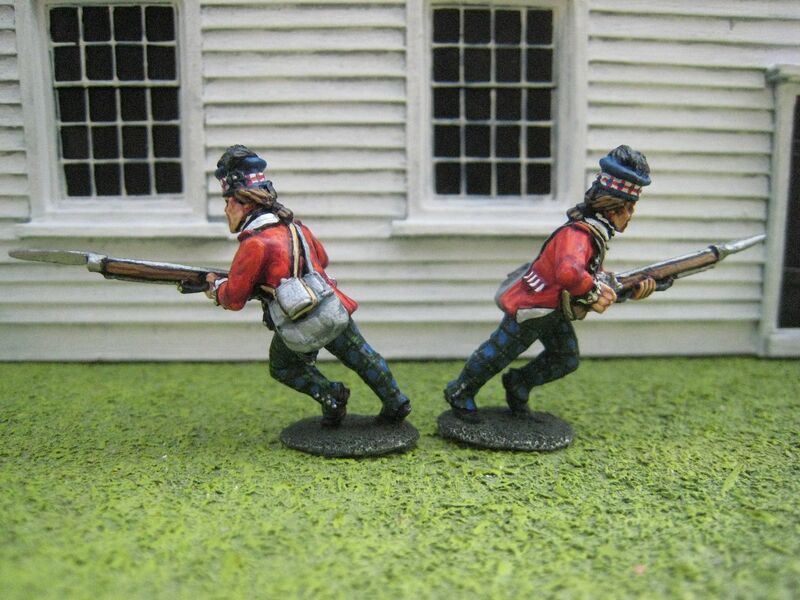 The purpose of these photos is to show the various firing line figures from the range, and the various ways in which they can be painted. 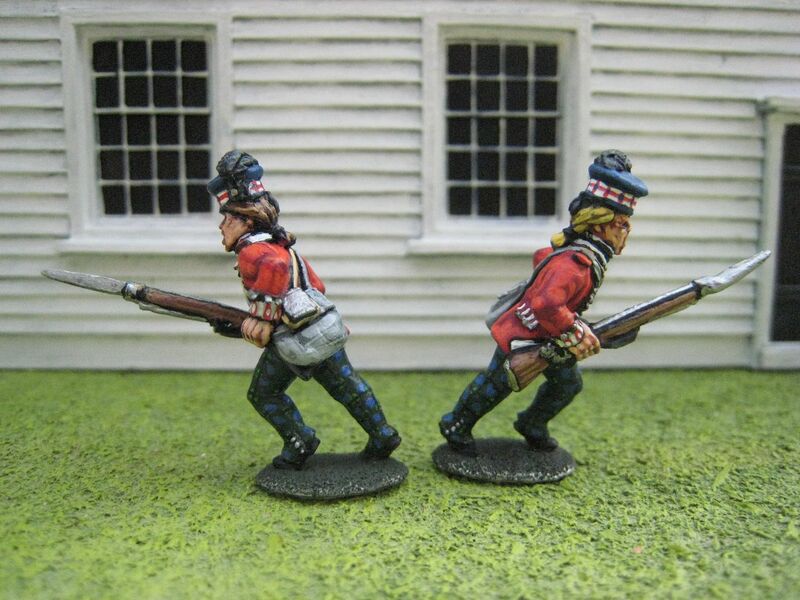 Here is not the place to go into detailed discussion of the likely colours of overalls or whether the 71st wore tartan trews in the south. 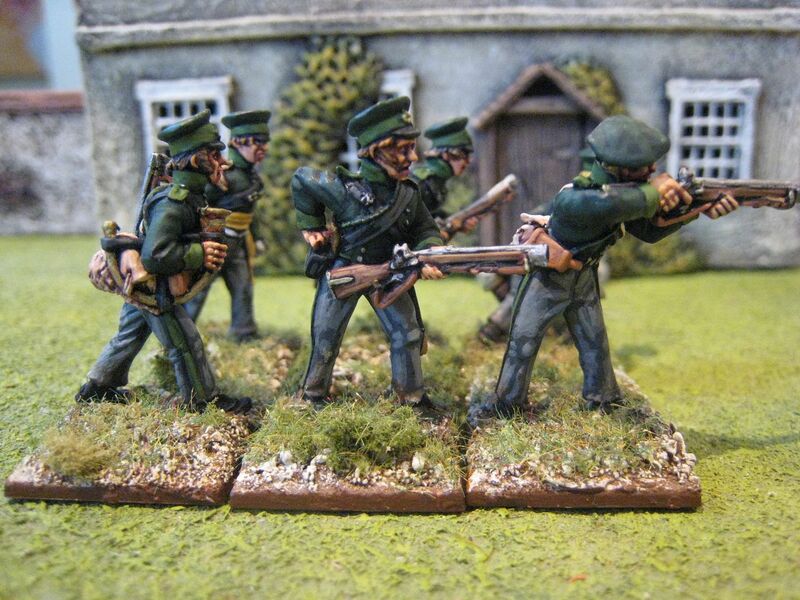 I'll do that when I get around to painting units for my own collection. 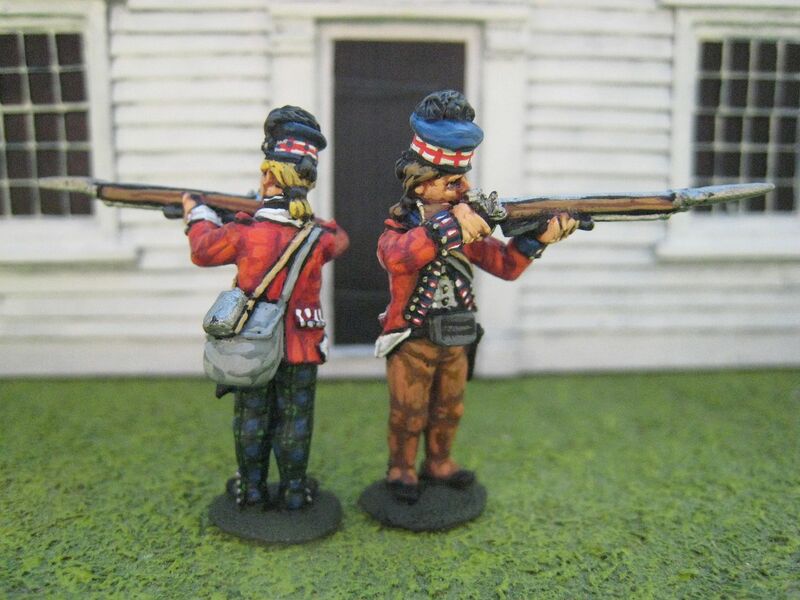 These figures represent the Hanoverian army's Feldjager corps in 1815. 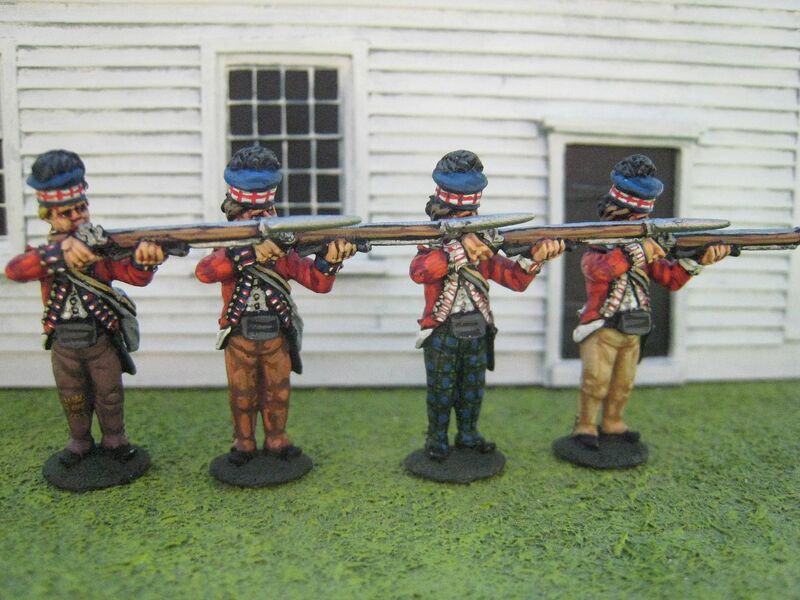 This unit was raised from foresters and huntsmen in 1813. Originally 2 companies strong, it was increased to 4 companies. 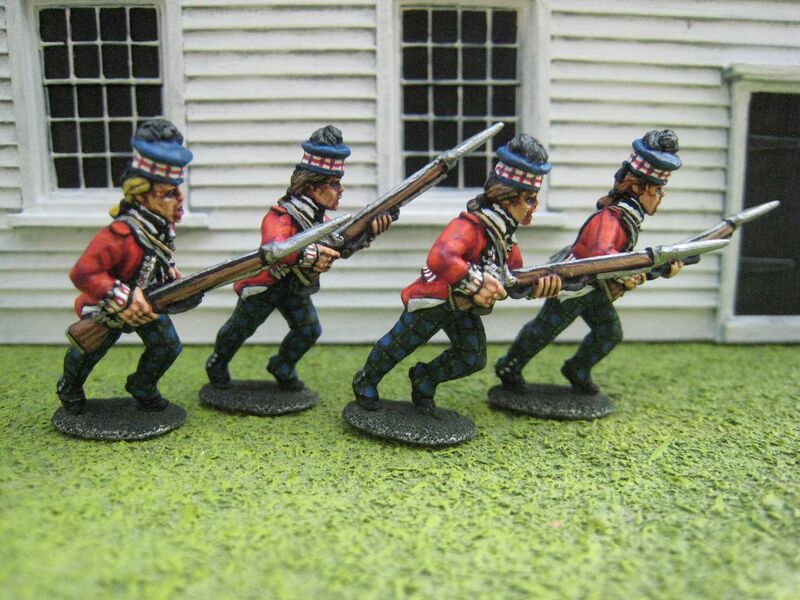 Only 2 of those were present at Waterloo, about 330 officers and men, in Kielmansegge's 1st Hanoverian Brigade in Alten's 3rd Division. 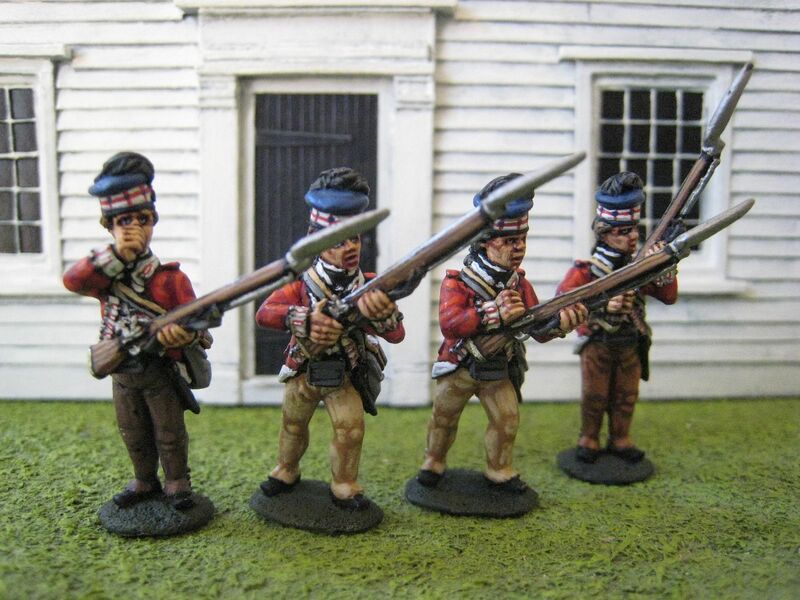 1 company, about 160 men, was part of the garrison at Hougoumont, and this is the unit I have modelled here. 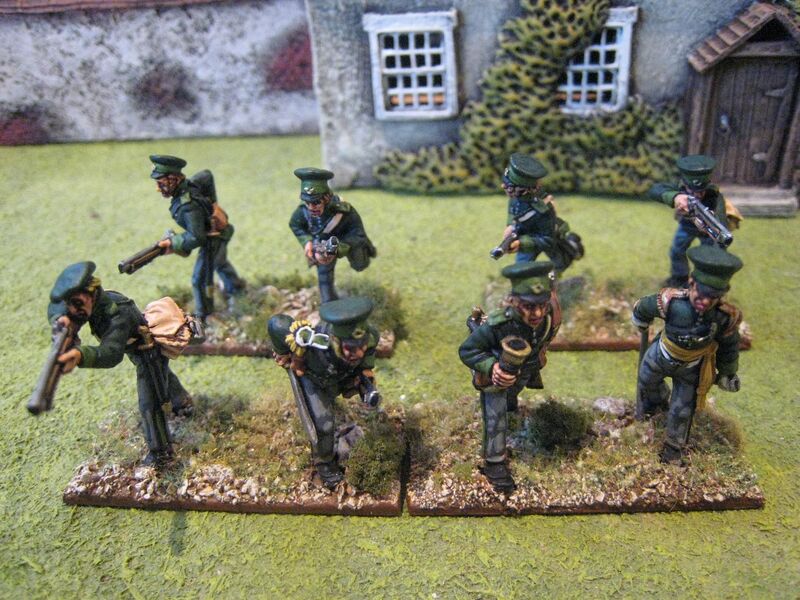 That's 8 figures using the General de Brigade 1:20 ratio, which is perfect because 8 figures are what you get in this excellent set from Westfalia Miniatures. The sculpting is by Paul Hicks. I haven't been able to find out much about these troops. At Hougoumont, they appear to have been positioned in the wood to the south of the farm, and in due course retreated to the farm's orchard. There was some to-ing and fro-ing as the orchard changed hands a couple of times y appear to have been at some stage. As for the uniforms, sources refer to "dark green" coats and "apple green" facings, with black leatherwork. 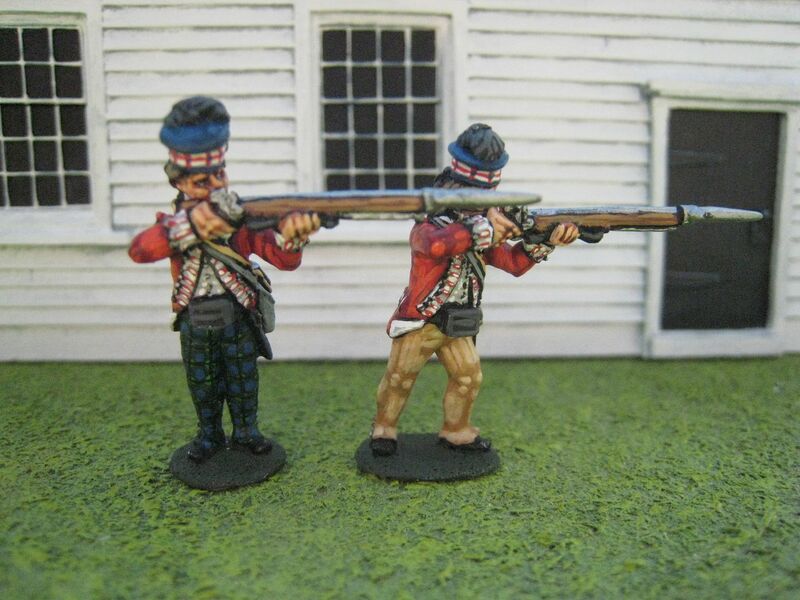 I used the Foundry "French Chasseur Green 71" for the coats and "French Dragoon Green 70" for the facings. 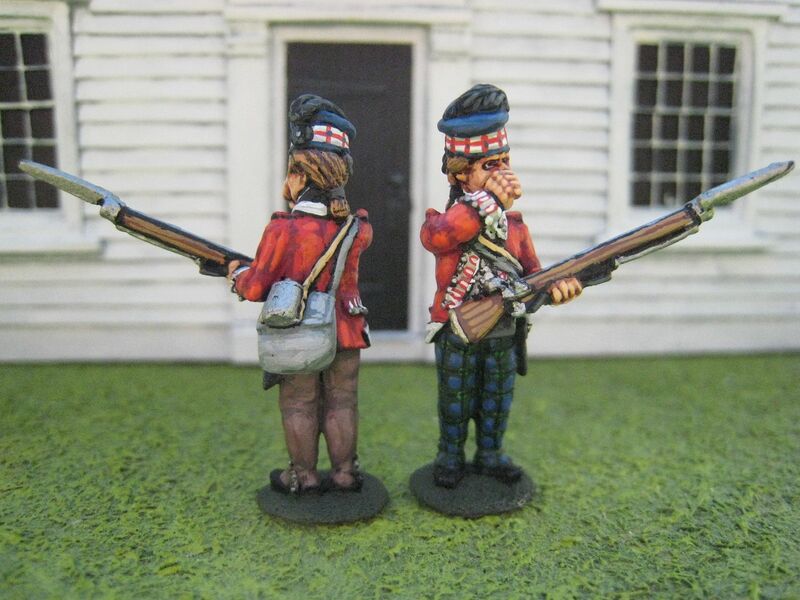 Officers' sashes were yellow and the rifle straps were brown leather. 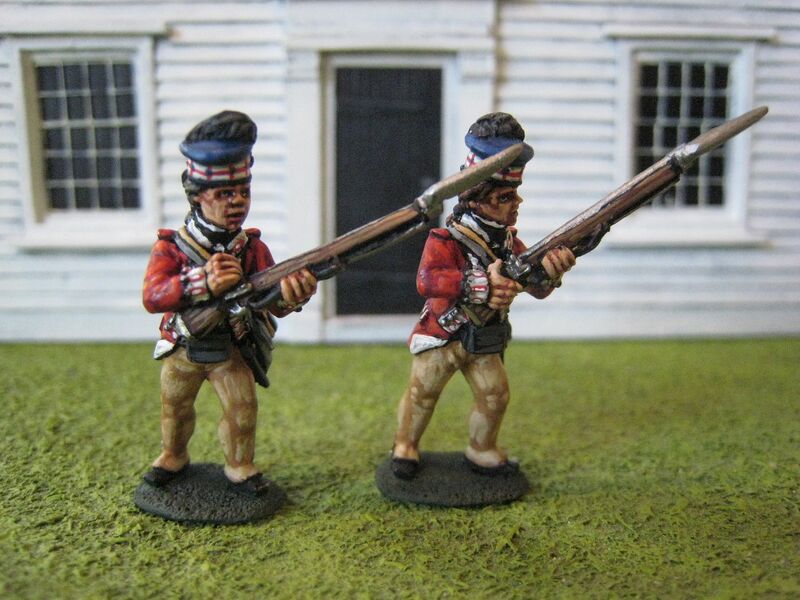 The grey trousers were painted with the Foundry "Stone" palette. 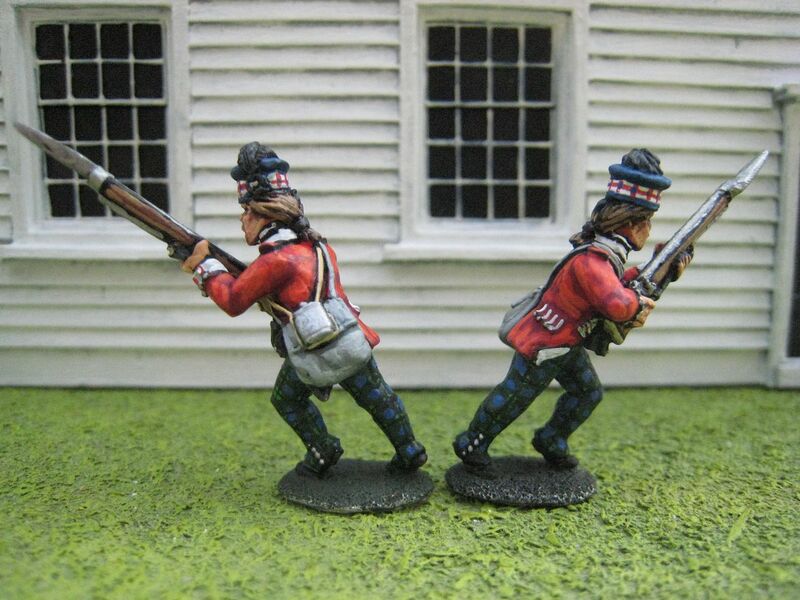 I thought about basing these figures as singles, but then decided to put them on standard GdB skirmish bases. My next idea was to pose them in a sort of "fighting retreat", with the running figure on each base moving backwards, being covered by the other figure. 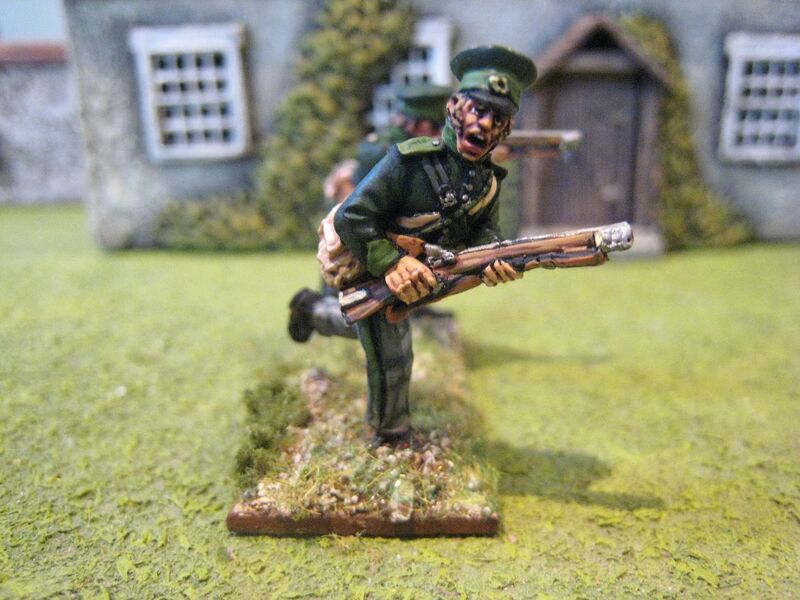 But that just looked odd - I think with skirmishing figures like this you really need them to point the same way. 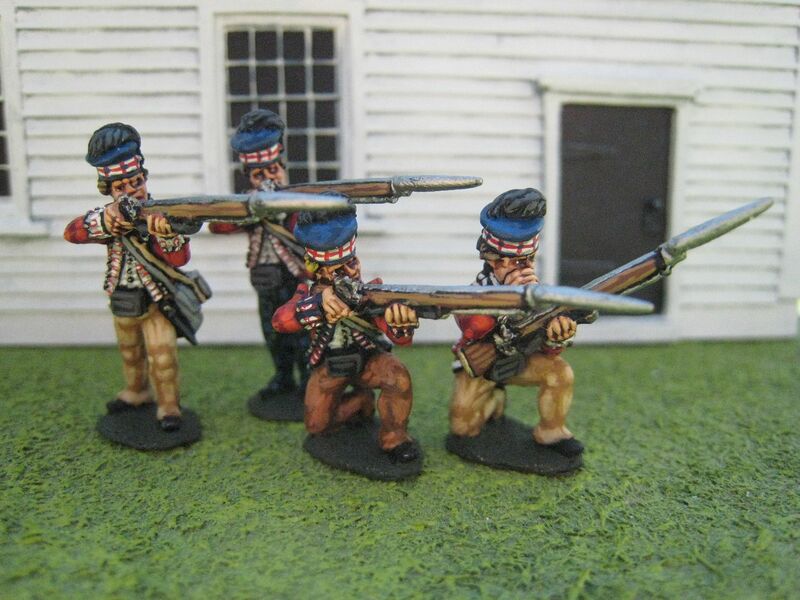 This is a lovely little set of figures, very well sculpted and easy to paint. 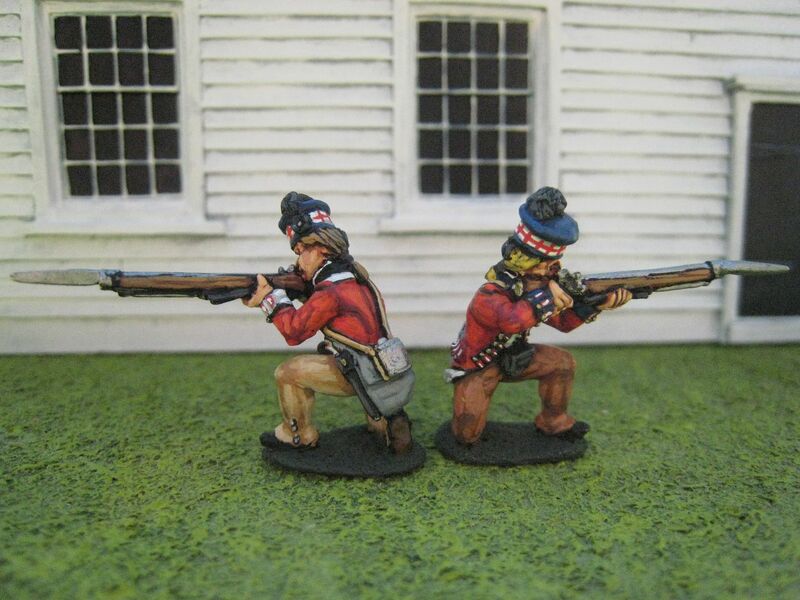 These were the first figures I painted when on paternity leave in February - I just felt I needed to paint something a bit different, and which didn't involve British red or French dark blue. I'm slowly getting ready for "ACW Week", which I first threatened this time last year and then didn't get around to it. 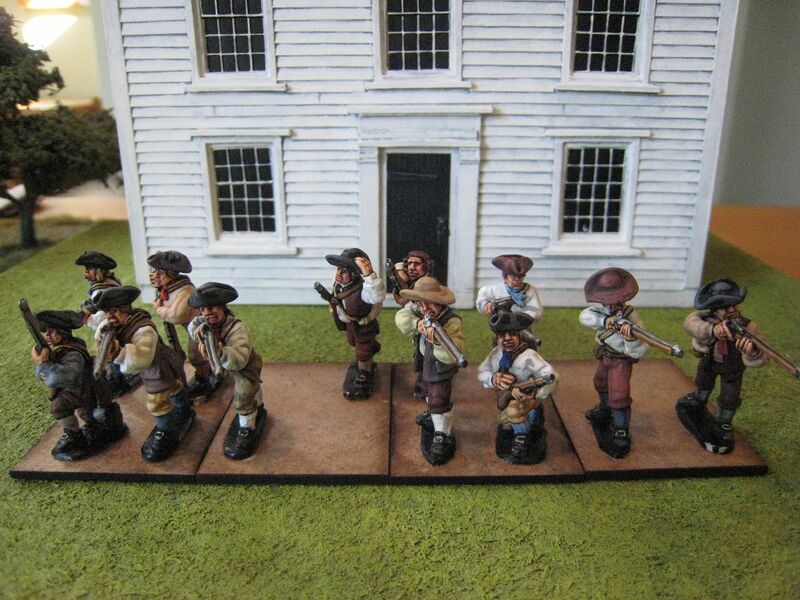 To recap - I painted about 100 Dixon ACW figures last year, including many that I'd "tarted up" from about 15 years ago. 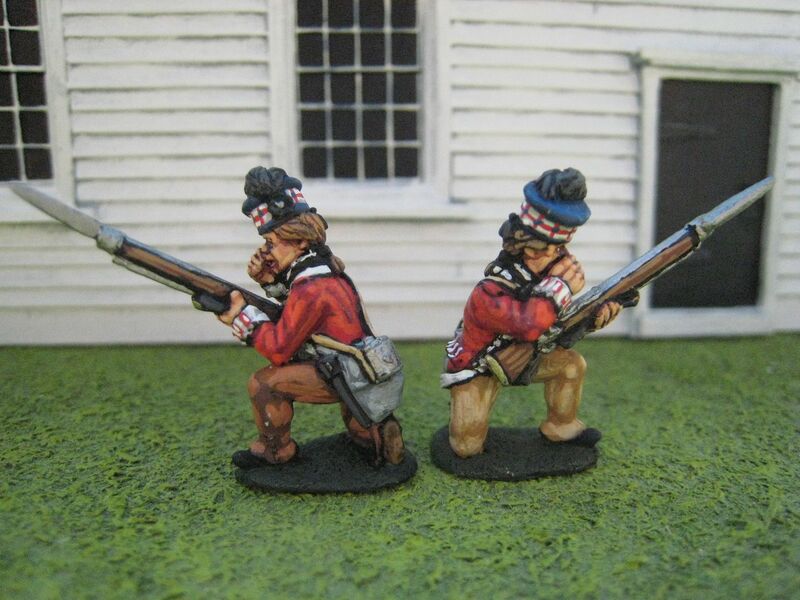 I've painted a few more ACW figures since then and I'm trying very hard to finish off my Stonewall Jackson command vignette. 8 figures. Painted February 2013.